$168,000 USD Only $2,150 USD/sqrmeter Compare to new buildings! 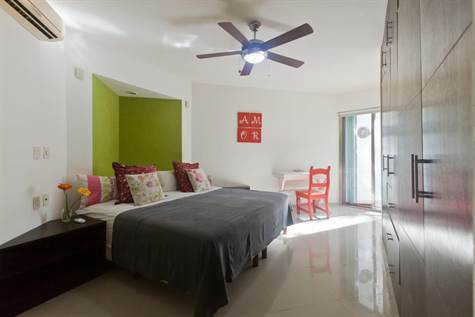 Do you want to own a 2 Bedroom Condo Downtown Playa del Carmen for less than $170k USD? This is a spacious 2 bedroom unit, located at 1st floor of a very private and small building, only 6 units, with underground parking. Modern kitchen, service room, super large closets, open floor plan in the living room. If you want to have a condo with low HOA fees and are not interested in having many amenities but more interested in being in a good location, walking distance to everything interesting in Playa, this is for you. Take advantage of this real opportunity. Compare to new construction buildings where price per square meter is $2,500 USD or more!